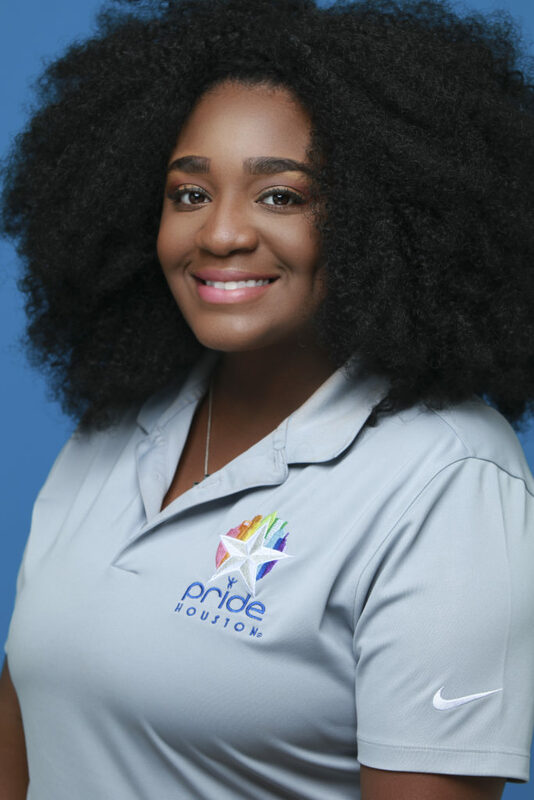 Pride Houston Announces Lorin Roberts as New President and CEO – Pride Houston, Inc.
Houston, TX; January 5, 2018 — Pride Houston, Inc. is proud to announce that Lorin “Lo” Roberts has accepted the position of president and CEO on October 1 after receiving a unanimous vote by Pride Houston’s Board of Directors in late September 2017. While the transition was not without some bumps, Pride Houston is happy to announce the appointment and looks forward to a bright future for the organization. Lo considers herself a proud Houstonian, and was honored to accept the role of Pride Houston president, as well as all of the responsibility it entails. She began volunteering with Pride eight years ago and has served on different production committees and in various leadership positions including Parade Committee co-chair, Volunteer Committee chair, and member-at-large on the Board of Directors. Lo sees Houston’s diversity and its unique blend of cultures as an incredible resource and advantage, and would like to see that diversity emphasized in Pride and the LGBTQIA community. Lo has charged the organization by developing short- and long-term goals to convert this emphasis into action and to reinvigorate Pride’s advocacy spirit. Other major objectives for the organization in the coming year include re-establishing relationships with other LGBTQIA non-profits, outreach to primary and secondary institutions of learning, relaunching scholarship programs, and devoting new resources to the health and wellness needs of the the different LGBTQIA populations that call Houston home. For 40 years, Pride Houston has been a central part of the local LGBTQIA community in Houston. The 2018 Houston LGBT Pride Celebration®, the fourth largest in the nation, will again be held in Downtown Houston continuing the legacy that began on the steps of City Hall in 1977 with the protest against Anita Bryant which is widely considered Houston’s “Stonewall Movement”. Pride Houston, Inc. is a 501(c)(3) not-for-profit organization out of Houston, Texas.